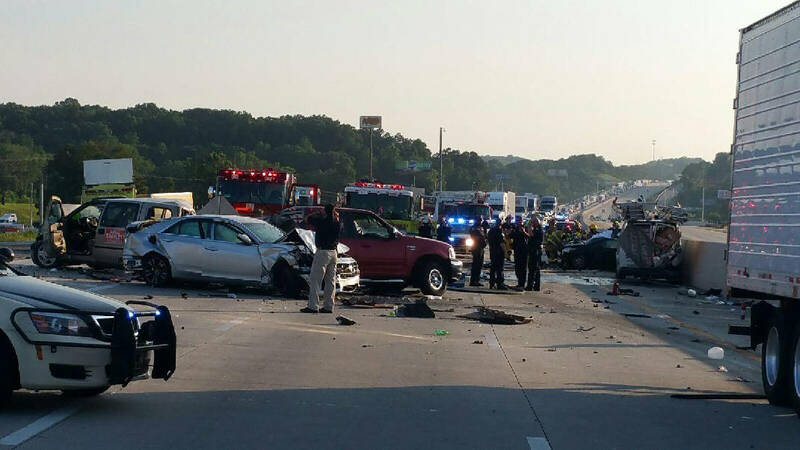 A Chattanooga Police Department Photo by Craig Joel shows scenes from the multiple fatality wreck at Exit 11 in Ooltewah. The NTSB has released a preliminary report detailing its findings in the fatal I-75 crash that saw Ben Brewer drive his truck through rows of parked cars, killing six. Emergency personnel work at the scene of a nmultiple fatality wreck at Exit 11 in Ooltewah. 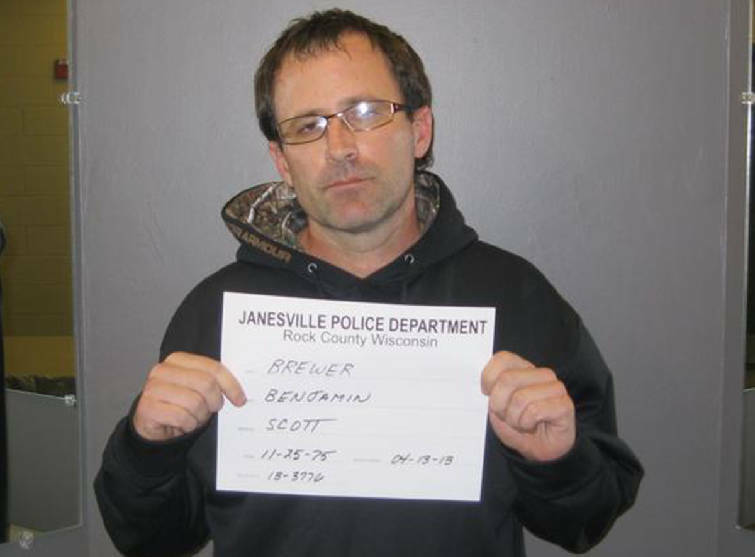 Ben Brewer is shown in this booking photo from Janesville, Wis. The National Transportation Safety Board has released its preliminary report into the deadly crash on I-75 in June 25, in which a 2007 Peterbilt tractor-trailer plowed into several cars, killing six and injuring four. The report was unearthed on the same day that driver Ben Brewer was charged with several felonies, including vehicular homicide and driving under the influence of narcotics. Brewer's job was to transport a 2005 Great Dane refrigerated trailer from Kentucky to Florida, then return back to Kentucky. But the trip went poorly from the start. Initial results of the agency's investigation show that the driver of the tractor trailer experienced two mechanical breakdowns and was involved in a separate crash during his trip, which began on June 22, and that he was on duty for about 50 consecutive hours during the first leg of his trip. The initial mechanical breakdown involved the truck's brakes, and the second involved problems with the truck's fuel delivery system. After side-swiping another commercial vehicle in Wildwood, Florida at the 45-hour mark, he made it to his final destination at 4:30 p.m. and logged himself as off-duty. Twelve hours after clocking out, he clocked back in and began his return trip to London, Kentucky at 4:30 a.m. Nearly 15 hours later, at 7:10 p.m., with clear weather and a dry roadway, he struck seven vehicles, traveling 453 feet from the initial impact area to the final rest position. That's farther than the length of a football field, which measures 300 feet. The agency has determined that the driver had stayed at the wheel longer than regulations allow, but other aspects of the investigation are ongoing. Hours of service rules, which are issued by the Federal Motor Carrier Safety Administration, are designed to limit the ability of drivers to work the maximum number of hours on a continuing bases, in order to reduce the risk of driver fatigue. "Long daily and weekly hours are associated with an increased risk of crashes, and with the chronic health conditions associated with lack of sleep," the FMCSA said in a summary of rules issued in 2011. The NTSB is reviewing security video from a local business, cell phone records, and toxicology testing, among other clues. Brewer was wanted on an active warrant in Wisconsin for a drug-related offense. In the meantime, a Bradley County attorney has filed a $10 million lawsuit on behalf of Ryan Humphries, who was injured but survived, against Brewer and truck driving company Cool Runnings Express. He's asking for $5 million in actual damages and $5 million in punitive damages. According to Chattanooga police, the crash happened around 7:10 p.m. on June 25 as cars were stopped near Exit 11 because of road construction. A witness said Brewer "plowed" into several cars, causing a nine-vehicle crash.